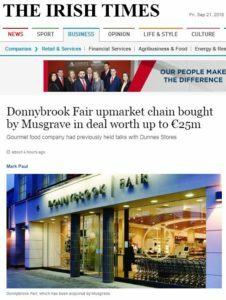 Crowe is pleased to have assisted in the successful sale of Donnybrook fair to Musgrave. The Cork-headquartered retailing and wholesaling group finalised a deal to buy the chain this morning, after interest from several parties, for an undisclosed sum from husband and wife team, Joe and Mary Doyle, who founded and control Donnybrook Fair. Joe Doyle says he will remain involved with the business, to grow the brand in partnership with its new owners. 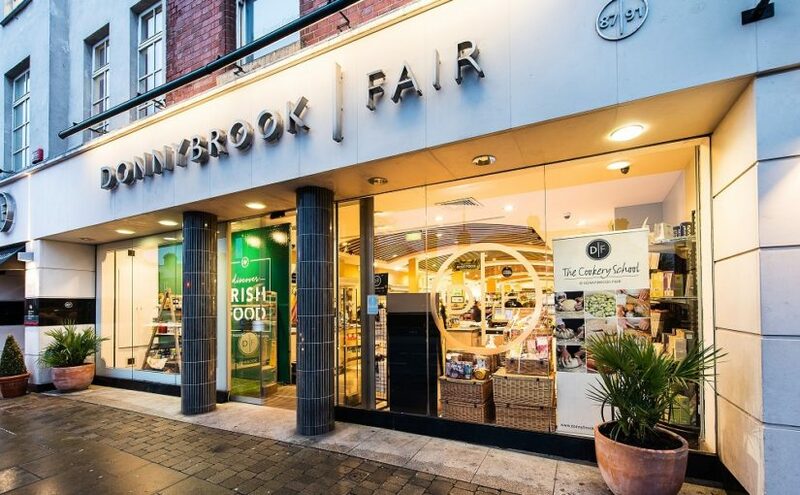 Both sides also suggested the Donnybrook Fair brand will remain intact following the deal. Crowe worked alongside Crowley Millar Solicitors on the transaction for Donnybrook Fair. Crowe Partner Brian Geraghty was lead on the project. Crowe also recently assisted in the sale of Kings Laundry to French multinational Elis plc.